ebook information: an ebook is a digital file, usually in adobe form, that you can download direct to your computer's hard drive. Ebooks are becoming increasingly common and popular. Part of their appeal is the convenience of having almost instant access to reading material of your choice. Like printed books, ebooks cover virtually every topic there is. 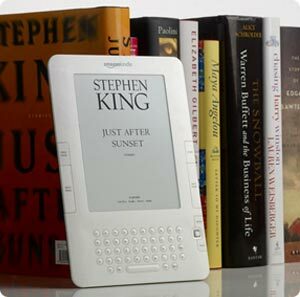 As can be seen from the sales of increasingly popular devices such as Amazon's Kindle and other ereaders, ebooks are here to stay. One of the reasons I like ebooks is that they don't require paper to be read, which helps the environment. You can read the file directly on your computer, though I appreciate it can be a little hard on your eyes. Ebooks can be printed out, but I always recommend that people print only the parts of the adobe file they need - for instance, exercises and worksheets for student use.